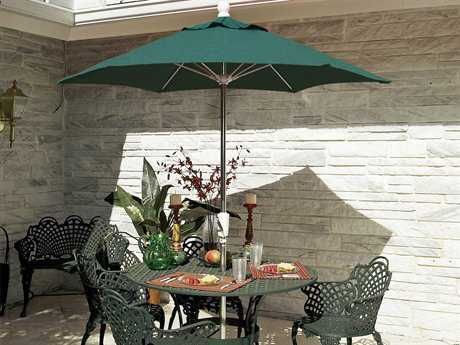 Fiberglass refers to a type of glass-fiber-reinforced plastic, which is prized for its flexibility and durability. 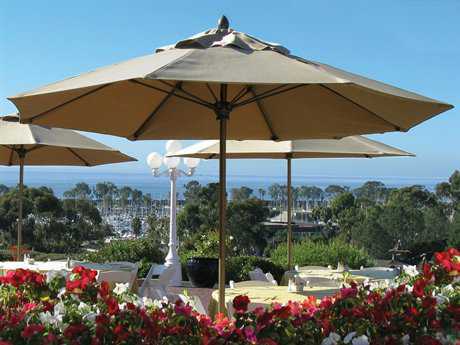 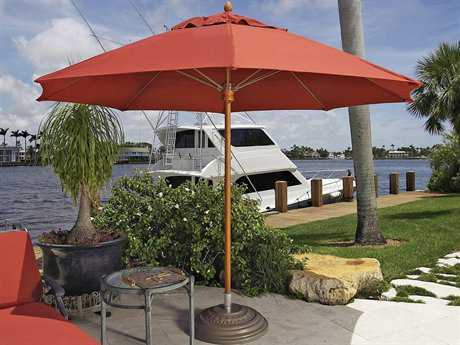 Fiberglass umbrellas are popular in casual residential and commercial settings, such as beaches and public parks. 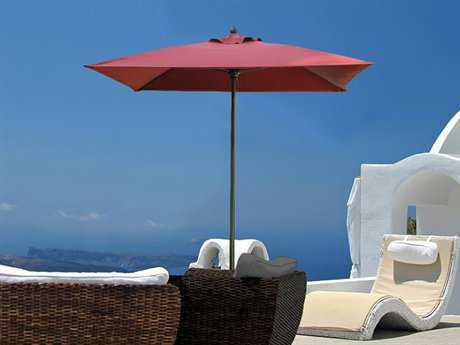 PatioLiving carries a diverse inventory from top brands, in a variety of styles, colors, and finishes. 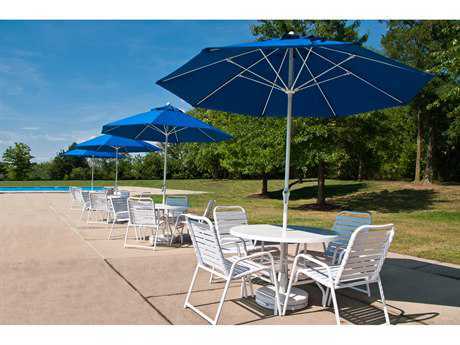 Options include up to seven finishes, numerous fabric options, and sizes ranging from 4’ to 9’ or larger. 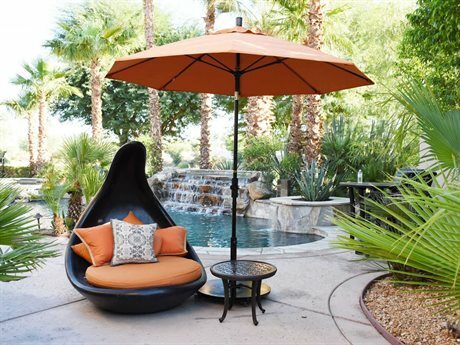 Fiberglass materials function well in almost any casual outdoor aesthetic, with options sure to match any individual decorating style and budget. 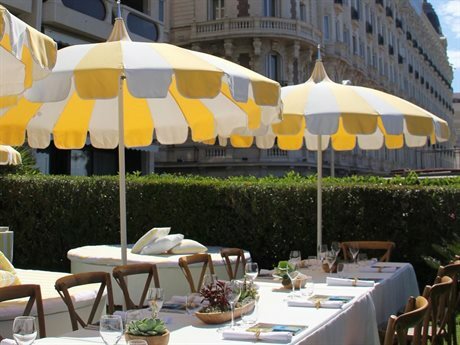 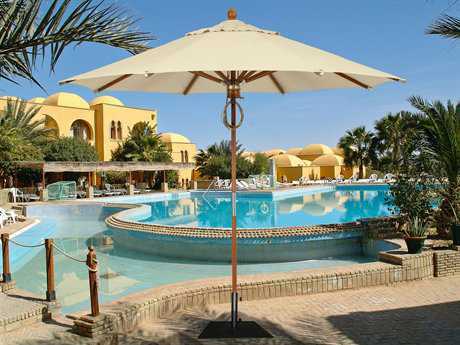 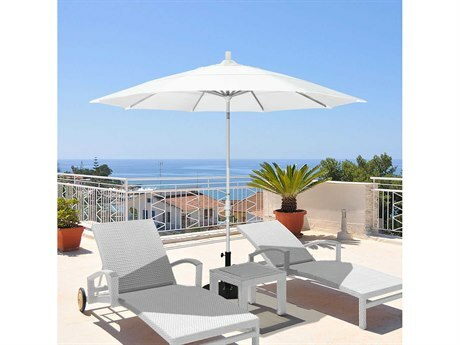 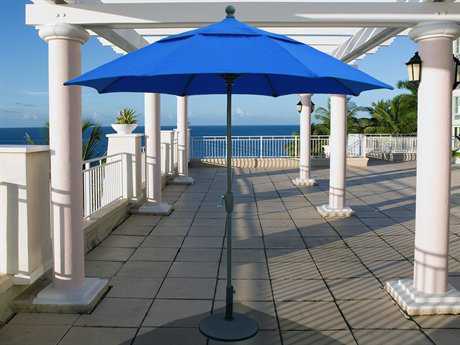 These umbrellas have several benefits that make them the ideal choice in specific environments. 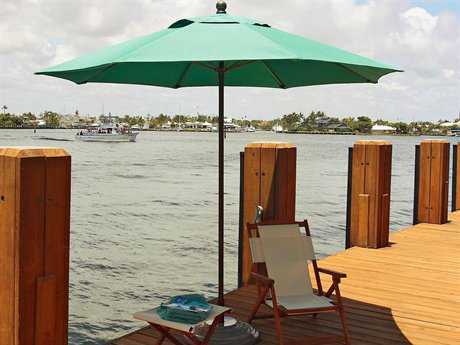 Fiberglass frames are sturdy and stronger than aluminum or wood and display a unrivaled flexibility that allows them to bend in sudden gusts and strong sustained winds. 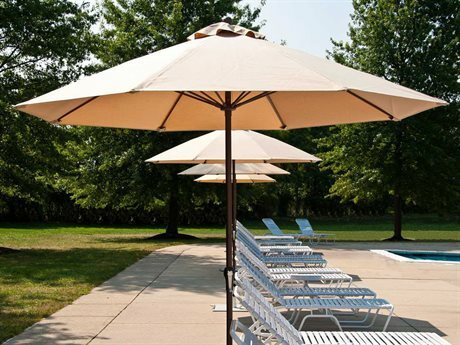 Umbrellas constructed from fiberglass can last up to four or five times longer than their aluminum or wood counterparts. 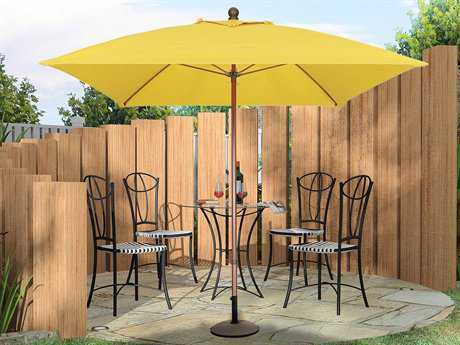 Fiberglass frames are generally coated with a protective powder-finish, making them corrosion resistant. 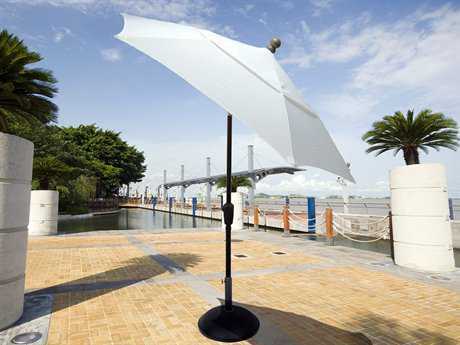 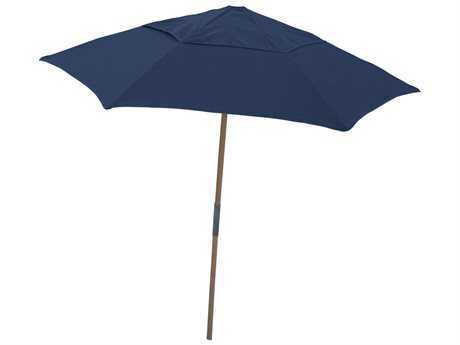 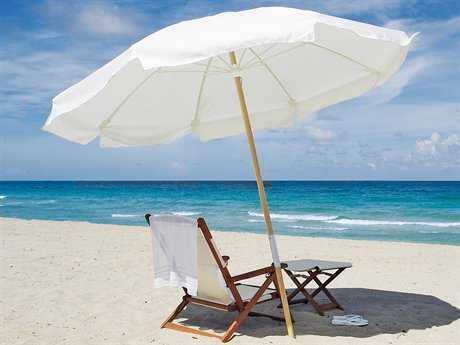 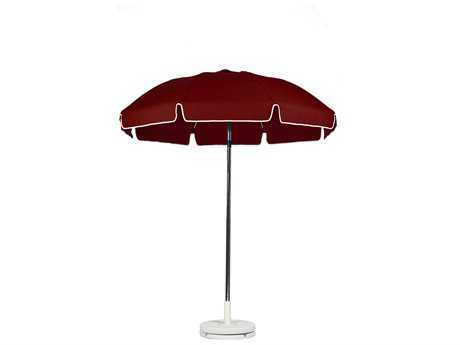 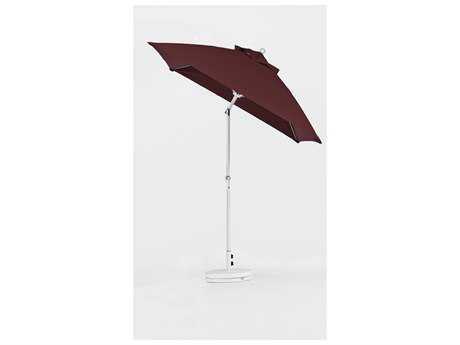 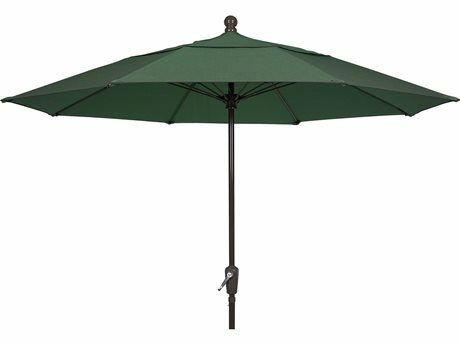 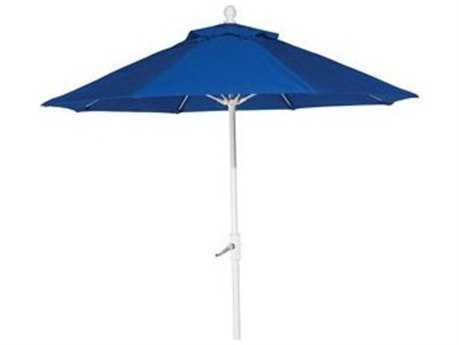 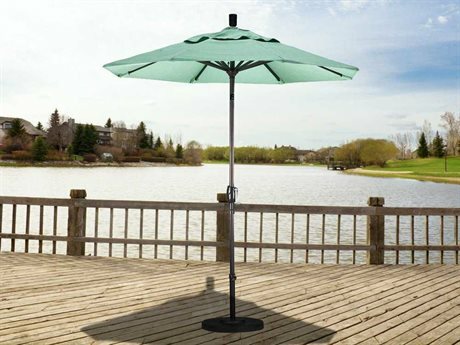 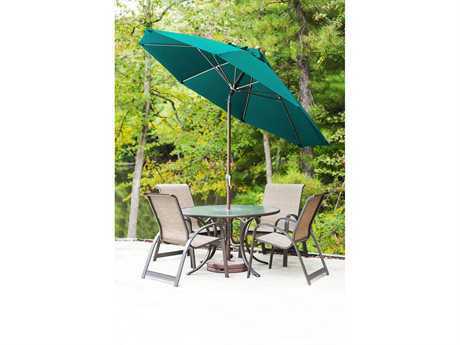 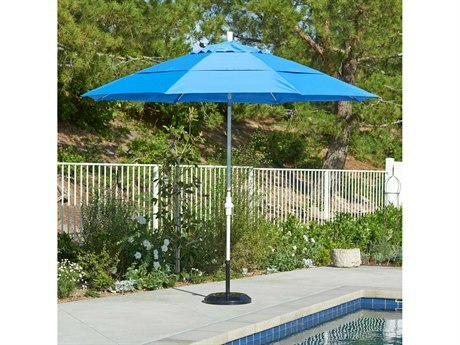 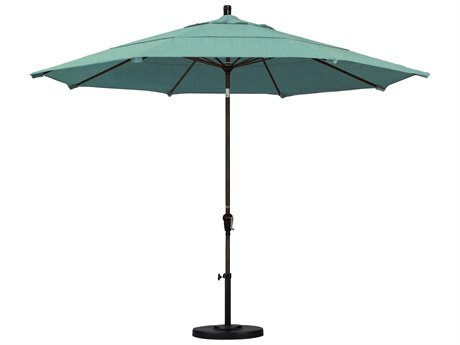 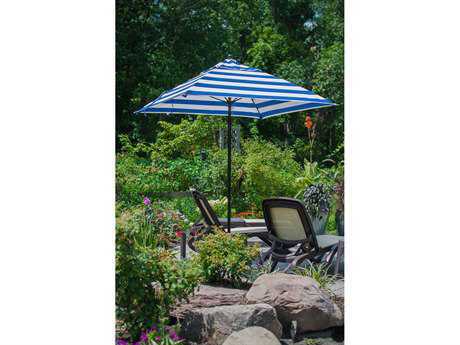 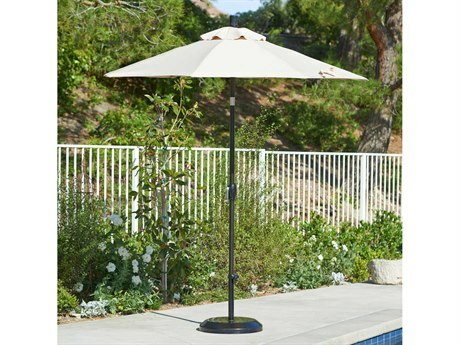 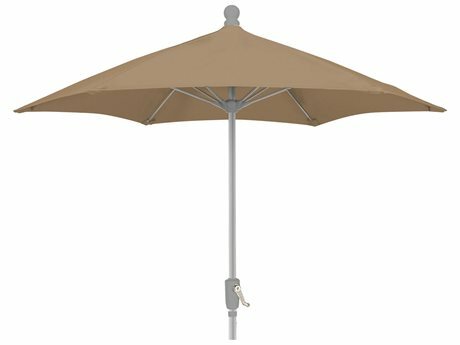 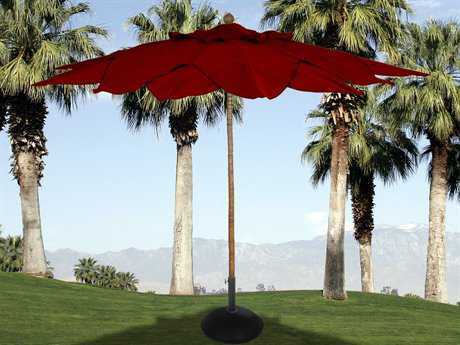 For ease of use and portability, fiberglass umbrellas are available as one-piece or two-piece models. 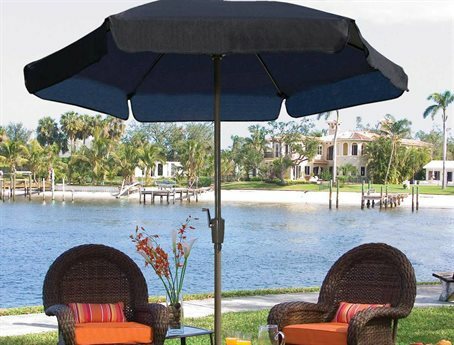 Other convenient features include, push-button opening, a crank lift function, and a built-in tilt mechanism that allows the user to block-out the sun as it moves across the sky. 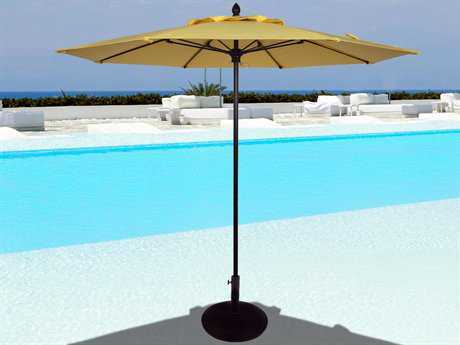 These umbrellas are simple, sleek, and styled for functionality. 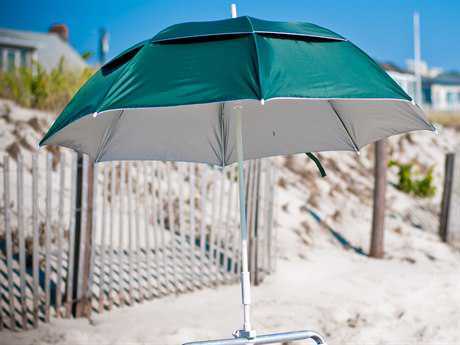 They generally feature a reflective finish in neutral color options, coordinating plastic crank lifts, and are very popular on beaches and in beachfront settings. 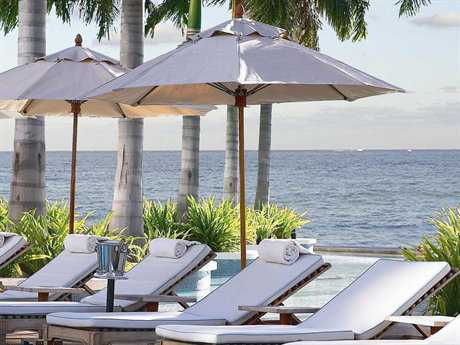 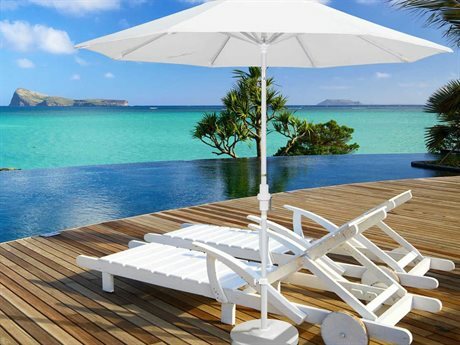 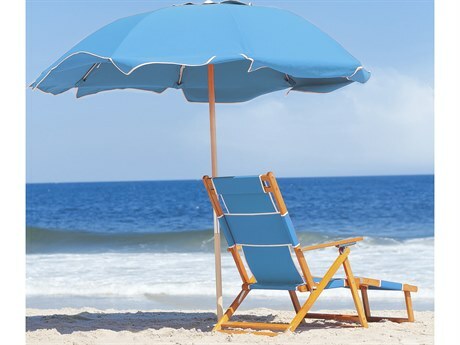 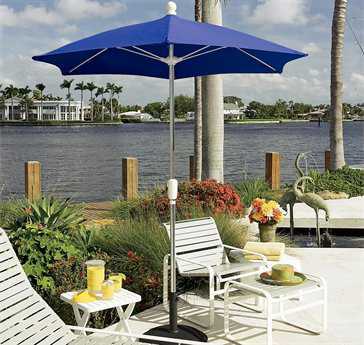 With this in mind, many fiberglass umbrellas are styled with decorative beach-inspired accents, such as white trim and scalloped shades, creating a casual and fun look. 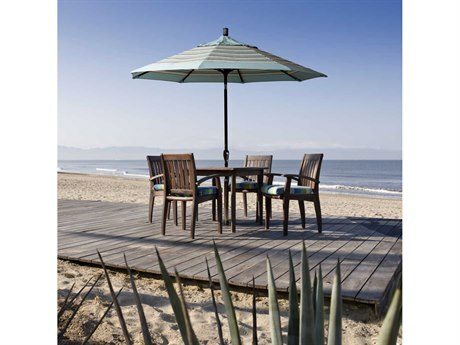 They also pair well with casual beach furniture, such as vibrant recycled plastic furniture and strap furniture. 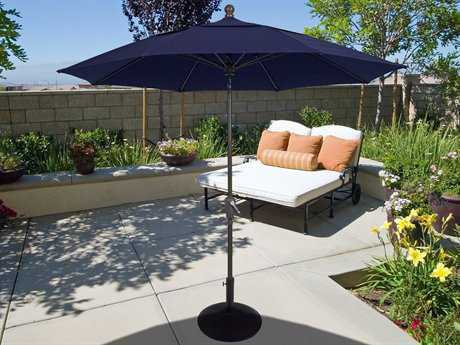 In particularly windy conditions, we recommend pairing your umbrella with comparably wind-resistant furniture selections, such as wrought iron furniture and steel furniture. 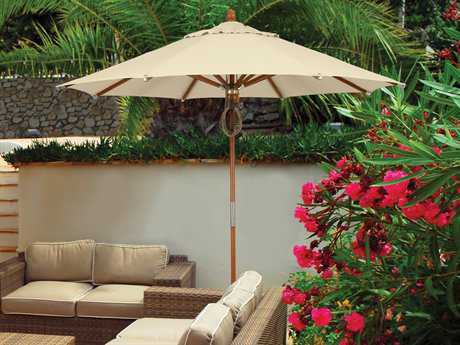 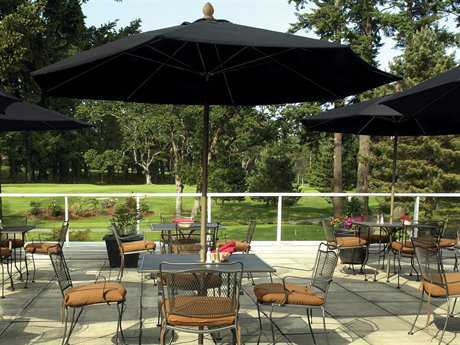 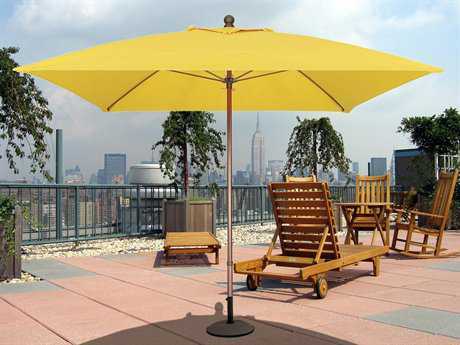 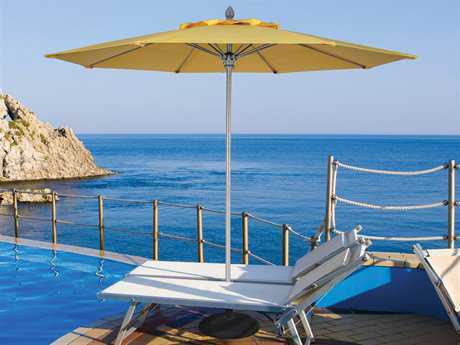 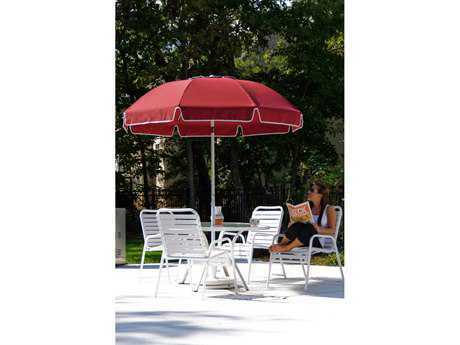 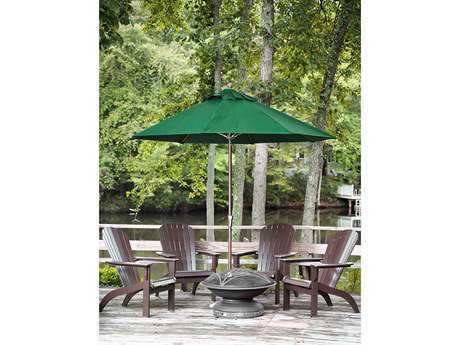 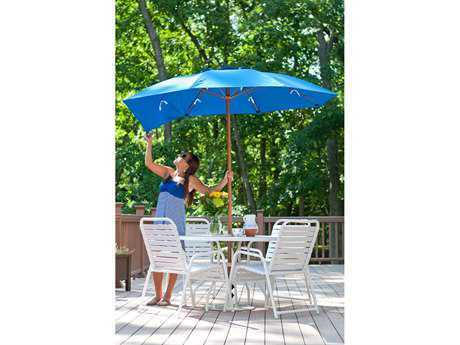 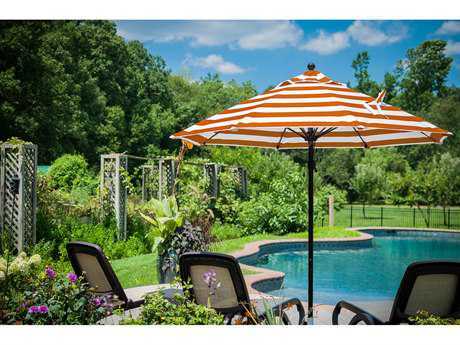 For more information about fiberglass umbrellas, read PatioLiving's Patio Umbrella Buying Guide. 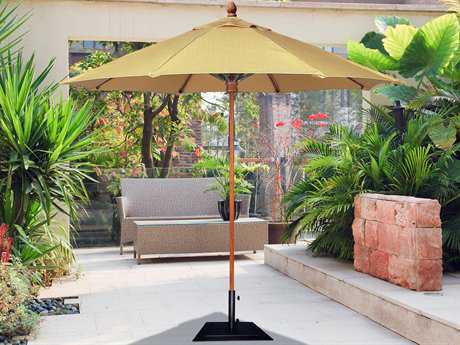 And if you have any more questions, feel free to reach out to our team of friendly product experts.